On Friday a Middle East regional CNN network reported that American Sniper Chris Kyle had been killed while embedded with US-backed Kurdish forces in Syria by invading Turkish troops, and the story went viral. Or maybe they meant to say actor Bradley Cooper? Though priding itself for its brand recognition in setting the agenda for accurate mainstream news and top notch investigative journalism around the globe, CNN has once again embarrassed itself as its sister network, CNN Turk, fell for what should have been an easy to recognize prank. At the end of this week false reports that two US Special Forces members had been killed in Syria while embedded with American-backed Kurdish units fighting in the northwest Aleppo district of Afrin in Syria spread wildly through major Turkish media after CNN Turk reported it. The only problem is that the identified US soldier purported to be featured in a photo circulating on social media which is the basis of CNN Turk's story was actually none other than "American Sniper" actor Bradley Cooper. That's right, as one classic and sadly all too literally serious headline from Newsweek reads - CNN Turkey Reports 'American Sniper' Bradley Cooper Killed In Syria, U.S. Military Denies. And yes, the Pentagon was forced to issue a quick and urgent denial of the story through US Coalition spokesman Colonel Ryan Dillon, who said Friday: "Reports of two US-Coalition members killed in Afrin are FALSE. Completely UNTRUE." CNN Turkey, which is owned by the Turner Broadcasting System Europe and Doğan Media Group, was fooled into believing the satirical report which appears to have started among pro-Kurdish social media. However, the prank should have been easy to recognize considering all early social media reports were based on a photograph said to be a US Special Forces member named Eddie Bragdon who went by the Kurdish nom de guerre "Zana Rizgar". But the photograph was so obviously a shot from the 2014 film, American Sniper, based on the life of the late Navy SEAL veteran Chris Kyle. Newsweek: "In what's believed to be the original claim, an account supportive of the Kurdish YPG reported the death of U.S. Special Forces member Eddie Bragdon, a.k.a. 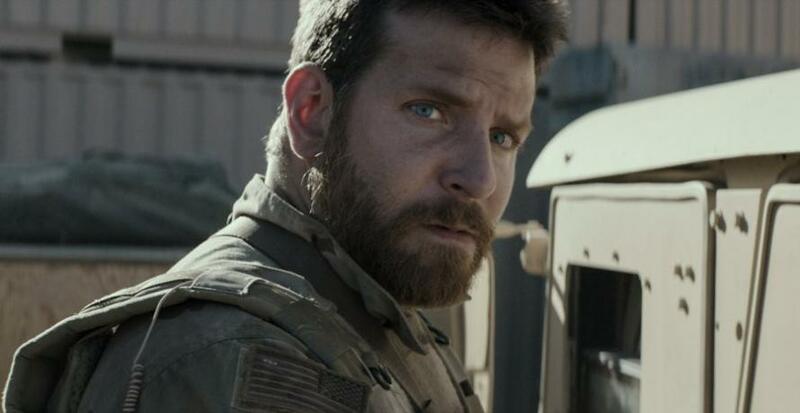 Zana Rizgar, instead of the actual individual pictured: U.S. actor Bradley Cooper in the film 'American Sniper.' The user later claimed that the post was intended to be satirical and criticized Turkish media for picking it up literally." Amidst the propaganda war now raging between Turkish and pro-Kurdish media as Turkey continues its 'Operation Olive Branch' inside northwest Syria, both Turkish nationalists - who celebrated the supposed "deaths" of US troops embedded with Syrian Kurds - and Kurdish sources, promoted the story on social media. Yet from the moment the story spread social media users were quick to point out the obvious origins of the photo. But not before CNN Turk featured the story. And here's the story tweeted out by CNN Turk's verified account: The headline reads "Former US Special Forces military was killed in the ranks of the YPG"
It appears a number of Turkish military analysts also promoted the story, which also gave it momentum before it landed on CNN Turk's homepage. Many of the dozens of articles which were subsequently written by Turkish and regional outlets based on the CNN reporting have now since taken offline. The initial pro-Kurdish social media account from which the fake news originated is now celebrating the fact that it successfully trolled CNN and other mainstream outlets, again tweeting the original Bradley Cooper photo but now with the caption (in Turkish), "Smile for the camera!" We give it a 10 for some top notch trolling. For CNN it's about par for the course.